 Cameron Residences, is a premier condo community project of DMCI Homes—a company of innovative builders and engineering experts that develop modern day living solutions for urban families. DMCI Homes offers its customers the highest level of expertise and its strict adherence to global standards. Its corporate philosophy is anchored on a deep understanding that buying a home is more about investing in a better way of living. Cameron Residences is the perfect validation of this timely proposition. Thanks to this feature-rich ideally located community, residents can finally enjoy a more comfortable and meaningful way of life where they can feel real good to be home.